I am in the middle of building my first build, and have the Fuse, and tail done mostly, (Engine mount to sort and cowl), however I decided to get on with the wings, Question is how is the joint (Circles and arrowed) made? Is it a case of the joint is pulled up once the rib joints are glued up (effectively no longer flat to the building board)? or is it the leading edge that completes the joint ? I would always do sheet tips lined up with a line drawn directly through LE to TE. I wouldn't necessarily do it on the board. As you say, you will have to pack up the tip piece to get it lined up nicely with the LE. 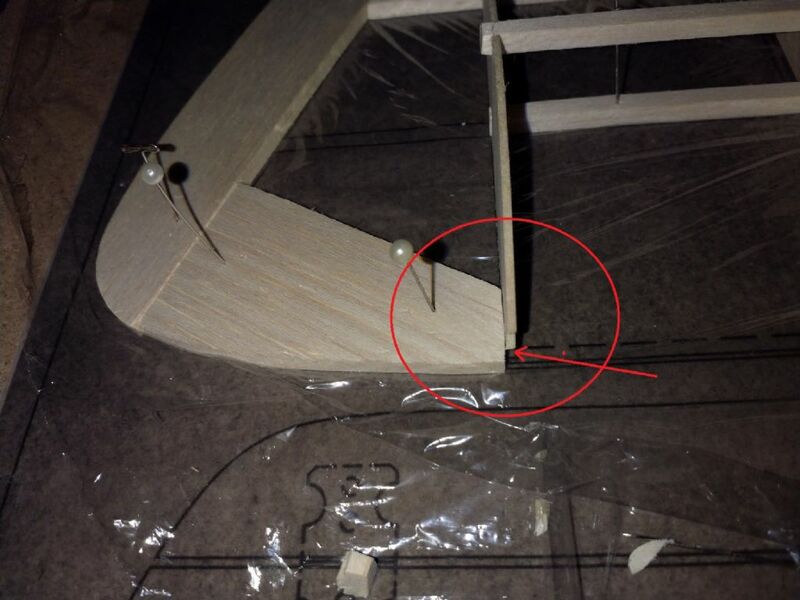 The wing tip is not attached flat on the building board, but should be attached after the wing panels are built. The wing tip bits are aligned along a line between the leading edge and trailing edge. I believe the plan shows a cross-section of the wing tip showing this. Remember to extend the LE beyond the tip rib as it is notched into the wing tip front component.